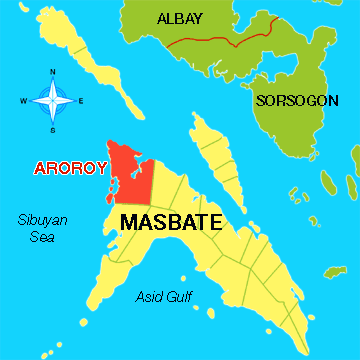 Camp Simeon A. Ola, Legazpi City, [06.11.18] – The case of murder was filed on Sunday before the Office of the Provincial Prosecutor against the four suspects behind the Saturday bloody shooting incident in Barangay Nabongsoran, Aroroy, Masbate. According to Police Chief Inspector Edgar Fernandez Valencia, Chief of Police of Aroroy Municipal Police Station, the case of murder filed against the suspects: Rickymar Cabarles y Perez alias Bonggoy, 42 years old, married, self-employed, Ruben Cabarles y Perez alias Dondoy, 41 years, old self-employed Nelson Carmen y Asada alias Eson, 47 years old, single, laborer and Edan Aparo y Domalaon, 37 years old, laborer – all of Barangay Nabongsoran. Meanwhile, arrested suspect Nelson Asada y Carmen alias Eson is under police custody – while, his three co-accused are at-large, police report said. The carnage took place last Saturday in Barangay Nabonsoran that resulted to the wounding of five victims identified as Jury Cabarles y Pablo, Ariel Madrilejos y Rubis, John Paul Cristobal y Aguilar, Dijie Cabarles Rojas, Jeo Cabarles y Villantes and the death of Ricky Alejo Perez.